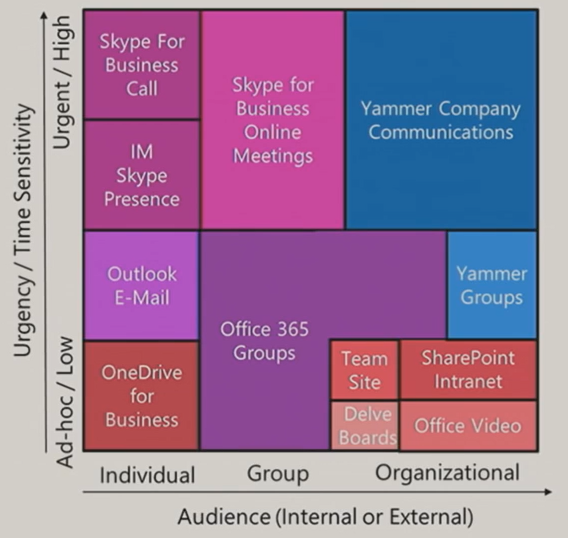 At Microsoft Ignite 2016 this year, Richard Harbridge did an updated presentation which is additive to the original presentation I listed below. 2toLead is a consultancy that has written a 75-page whitepaper that was updated a couple months ago on the exact topic of how to “provide the right enterprise tool” for the collaboration scenario requested. 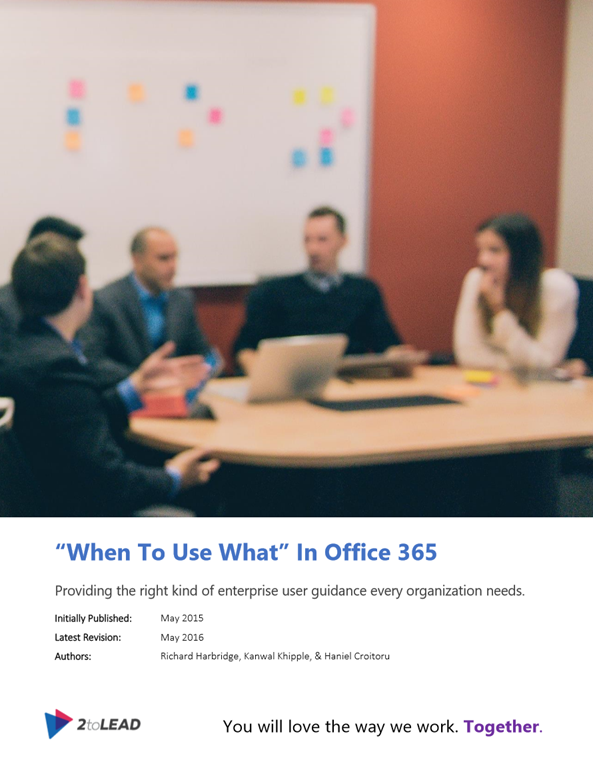 While it was originally a Microsoft reviewed document, it’s been modified from that original form and is no longer distributed by us (hence the reason it doesn’t have any Microsoft insignia on it any more compared to it’s original incarnation) so it’s not considered Microsoft’s official guidance however, the authors are Office 365 MVPs so they do speak with great experience.